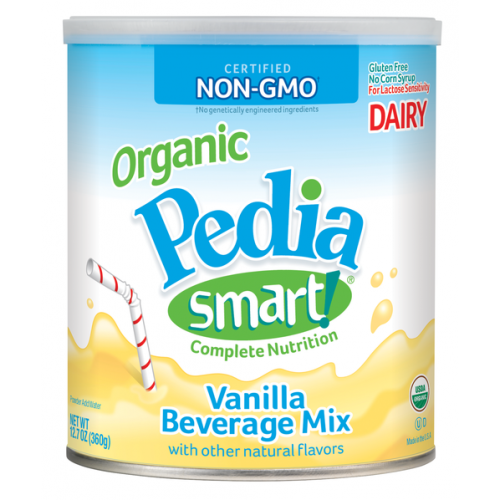 PediaSmart Organic Nutrition Beverage, dairy and soy, are the first organic beverages designed specifically for young children ages 1 to 13 years. 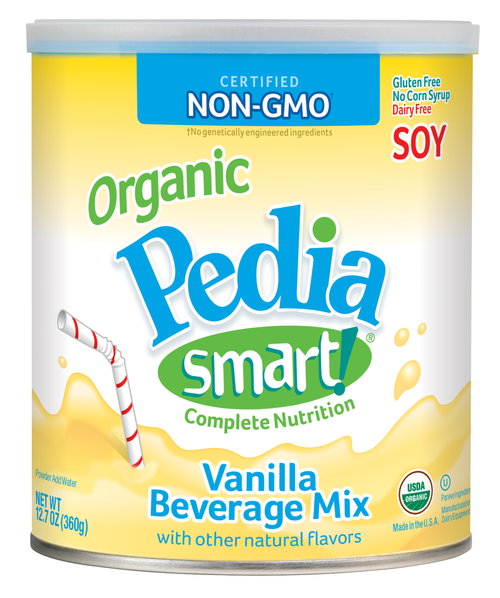 It is also available in a formula that is specifically created for toddlers; Baby's Only Organic Beverage. 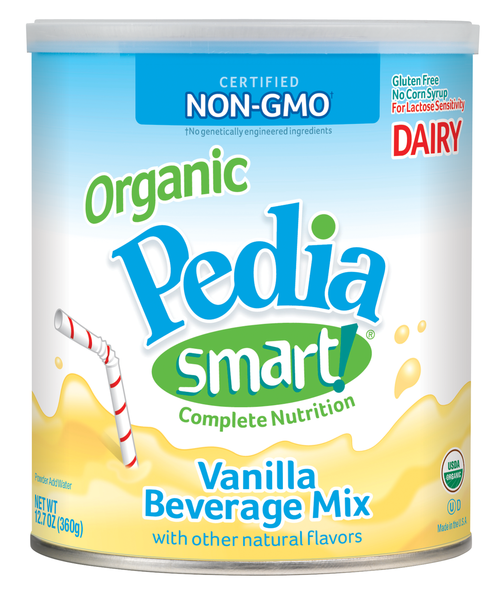 They are packed with 29 vitamins and minerals, 7 grams of protein, 9 grams of fat, and contain 240 calories, which provides your child with a complete and balanced nutritional drink. All ingredients are 100% natural and organic and they do not contain artificial colors, flavors, or sweeteners. 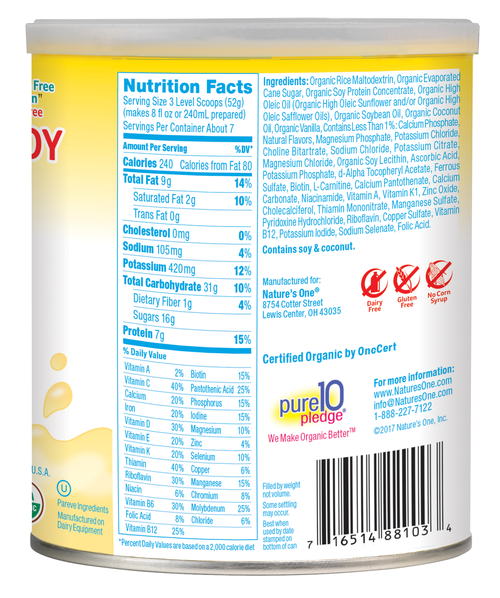 The dairy based beverage - 88101M uses a unique organic compliant enzyme process to remove milk sugar, which makes it perfect for individuals who are lactose sensitive. The soy based beverage - 88103M uses the same enzyme process to remove protein found in milk, which makes it a great choice for families who prefer a vegetarian diet. Both the dairy and the soy drink powders are free of gluten, corn syrup, pesticides, growth hormones, and hexane processed oils. 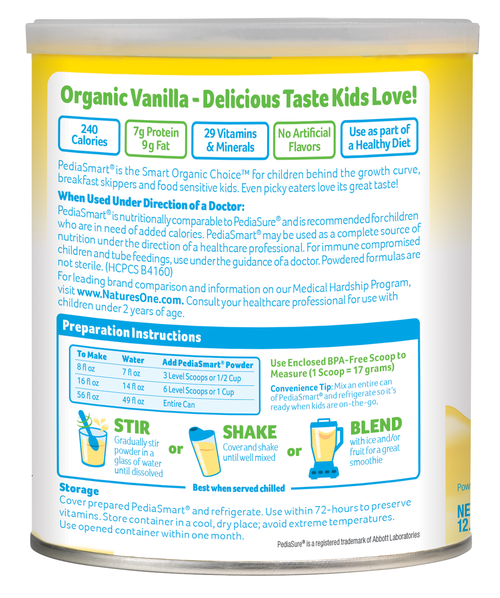 The delicious vanilla flavor will delight even the pickiest of eaters. It is a great alternative to regular breakfast foods, such as eggs, toast, and orange juice and will provide your child with the energy needed to jump start their day. It is available for purchase in 12.7 ounce canisters.